I have been trying to figure out what to write for the new year. I’m surprised at how well I paced myself for this post. It was supposed to be a recipe, but I decided to start on a high note. First things first, Happy New year my people! Thank you for last year and the year before. I wouldn’t be here if you guys weren’t reading my posts or here with me. I’m hoping for a smoother ride this year with tremendously new things to bring us success this year. Last year, I was still trying to find myself, in the sense that I was learning how to pace myself and do things according to the order of importance. To kick off this year, I want to write about taboos. I have been very fascinated about different foods and how they affect us especially when it comes to our tradition. What are taboos? Taboos are pretty much a set of rules; religious or traditional; forbidding a certain group of people or a person’s association with anything. Hence a food taboo is a practice in which certain foods cannot or may not be eaten. It could be for religious, traditional or for health purposes. I find culinary taboos interesting and I find it exasperating that a lot of us are not culturally aware. We don’t pay attention to tradition anymore. I found out two years ago that History as a subject was banned from Nigerian schools for reasons I cannot really explain. When you ban history from schools, how else are the Nigerian students supposed to learn and know simple things like taboos? Our ancestors have all gone to the great beyond and the remaining preservers of our culture have all passed on, so how are we supposed to learn these things if the lines of history have now been banned from being taught in Nigerian schools? Back to the subject of taboos. I remember once my father brought home some turtles and had them prepared for some pepper soup. My sister was home from the university and as usual and as a foodie, she wanted some, but my father quietly told her and me “women cannot eat turtles. It’s an abomination.” He really didn’t give a reason for this abomination. Although the turtle pepper soup looked delicious, I was too scared to touch it. Besides, my daddy’s words were too precious to me :). My sister on the other hand…O chim! she sneaked a bowl of the soup and ate it with all excitement. I honestly thought she would die oh, but she didn’t…Ngwanu! Wehldone daddy! Wehldone sir! Apart from taboos being respected by our African traditional religion, Christians have also added theirs to the mix. Once I was told by my former house fellowship leader not to eat cat fish, I wondered why because if I ever thought of not eating cat fish, it would be because of it’s place in the food chain as a burrower and it’s slimy nature. Well, my house fellowship leader gave his reasons to be that cat fish were caught and used for sacrifices and incisions made on them with certain juju before they were released back into the water from whence they were caught. Another thing was snails. Someone once told me that if I ate snails, I would move slowly in life because snails moved slowly. Fadaghad! I asked a question about culinary taboos on my Facebook page and here are some of the answers that my friends were able to give me concerning eating foods that are considered taboos within the different cultures in Nigeria. 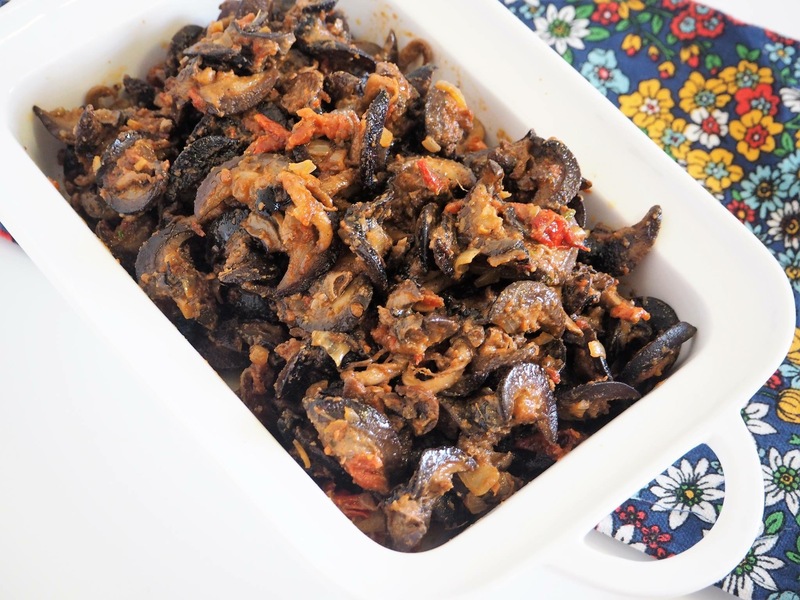 “My friend didn’t eat snails, they were taboo where she came from, unfortunately can’t remember where but it was somewhere in the then Imo State. “Isoko people forbid snails, ugu and twin plantain(Ozoro people in particular). Ibusa people forbid Sheep/Ram, Rabbit and Bush Rat. Asaba people forbid Ogbono. As for the Ibusa people forbidding Sheep/Ram…the reason is because during the Nigerian Civil war, as the Hausa soldiers arrived Ibusa after the massacre in Asaba, the villagers ran into the Forest. The Soldiers kept tracing their footsteps. At some point a flock of Sheep appeared from no where, and muddled up the footsteps. The Army didn’t know this and where misled by the steps. They followed the flock’s steps and got to the River Oboshi – a sacred River. They got drowned, the villagers survived and everyone was happy. “It must have been the gods” said the high priest. It was decreed by the High Priest that the flock of Sheep were sacred are never to be eaten. 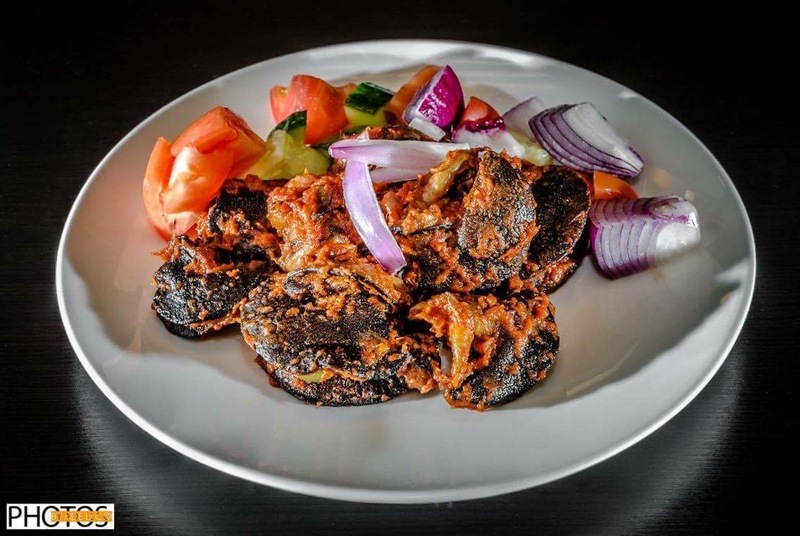 “The Amiri people in IMO state do not eat duck. It is still deity related. Me, I don’t have any known taboos that I abide by. I even have a recipe for lamb suya on the blog. These things, well most of these foods are now a major commodity in the open market place in Nigeria. They even tend to cost more than the so called “pure” or Kosher foods these days. I’ld like to know what your culinary taboos are and if you still abide by the rules placed. This entry was posted in Uncategorized and tagged African taboos, Cnnfood, culinary taboo, food taboos, National geographic, Taboo, Taboos, what not to eat. I have no idea what we forbid from where i come from. I am from Etsako East, in Edo state though. I can eat anything. If poo was edible i would eat it. But i wont eat anything that slithers. They freak me out. So, i wouldn’t know what we forbid + bi never really asked. I really enjoyed reading this. Its really funny and I learnt a lot. I will eat almost anything as far as it is healthy. lol! wow! I have no stories o…. I eat everything. Once tried octopus :p …yum!!! It was so much fun though reading this post. All those rules sha, its well!